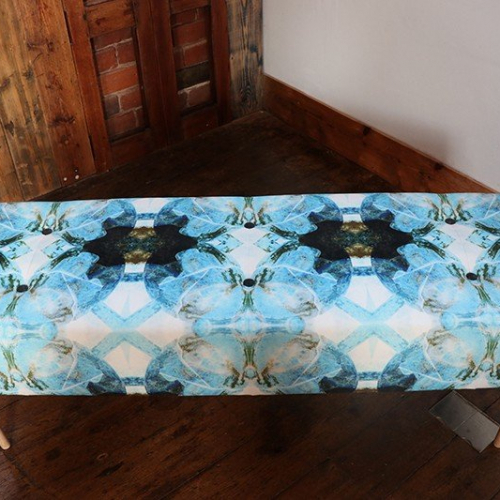 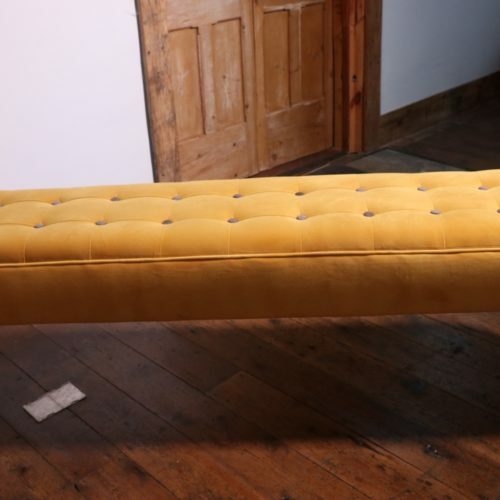 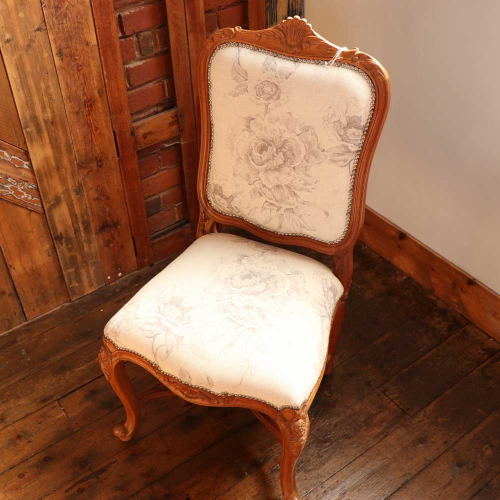 Semper Hopkins Upholstery & Interiors love making old furniture come back alive. 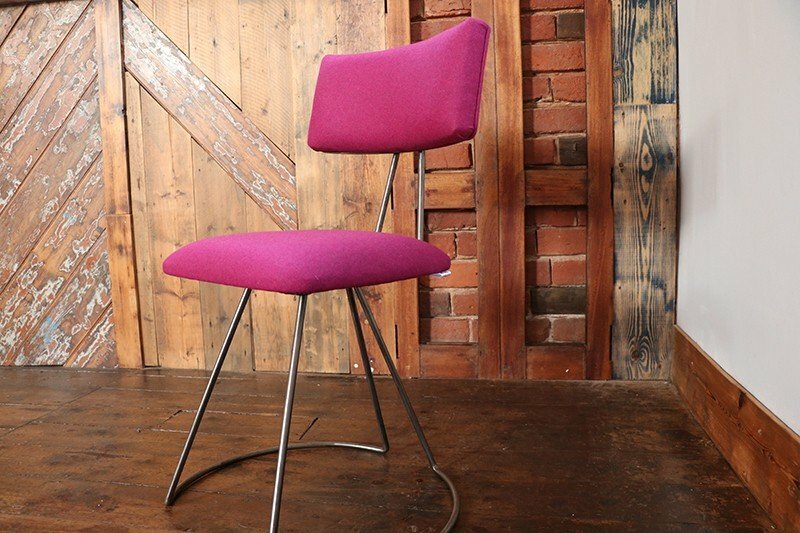 The first inspiration for the chair design was taken from an old 60s dining chair. 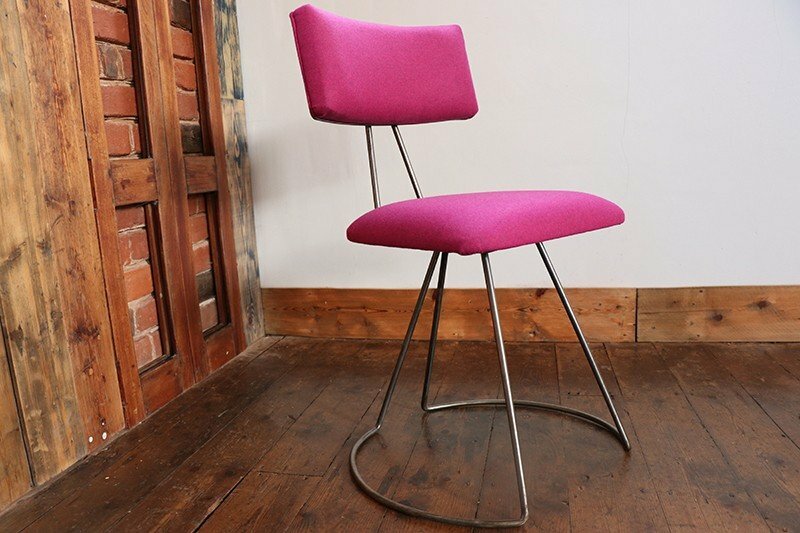 If you are looking for an eye catching piece of furniture inspired by industrial and mid-century design this is the chair for you. 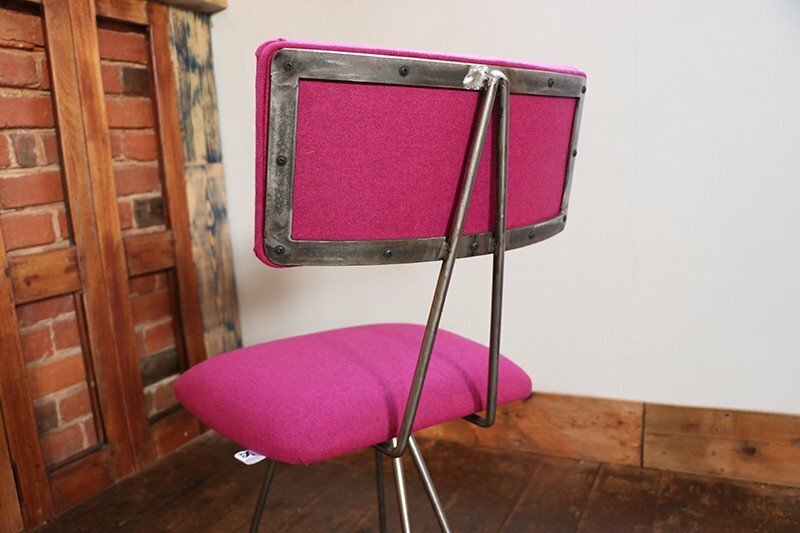 The frame is made in house which is inspired by the original 60s frame. 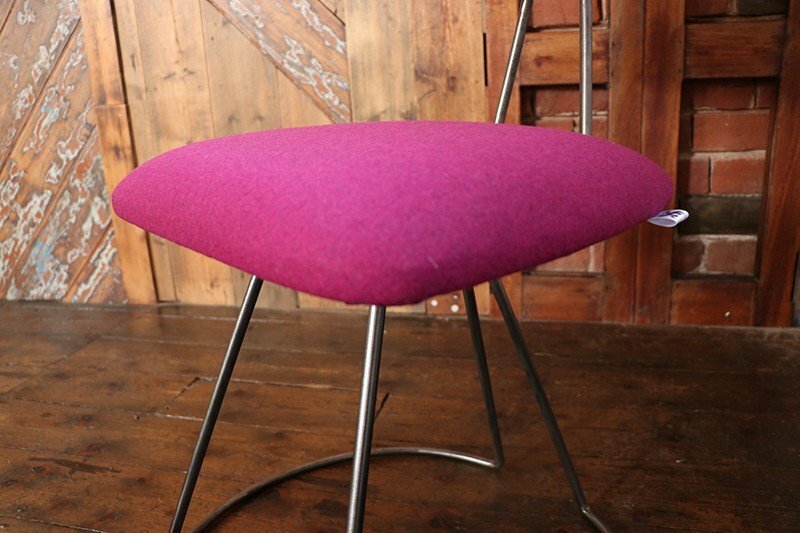 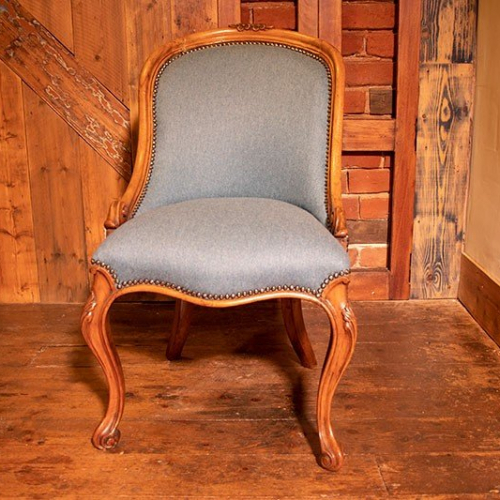 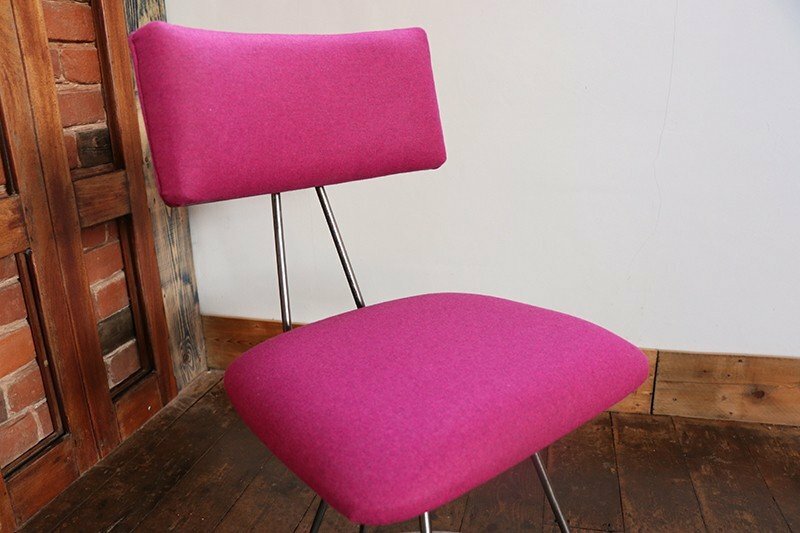 It is upholstered with a luxurious pink wool by Linwood Fabrics which is gorgeous to touch as well as eye catching. 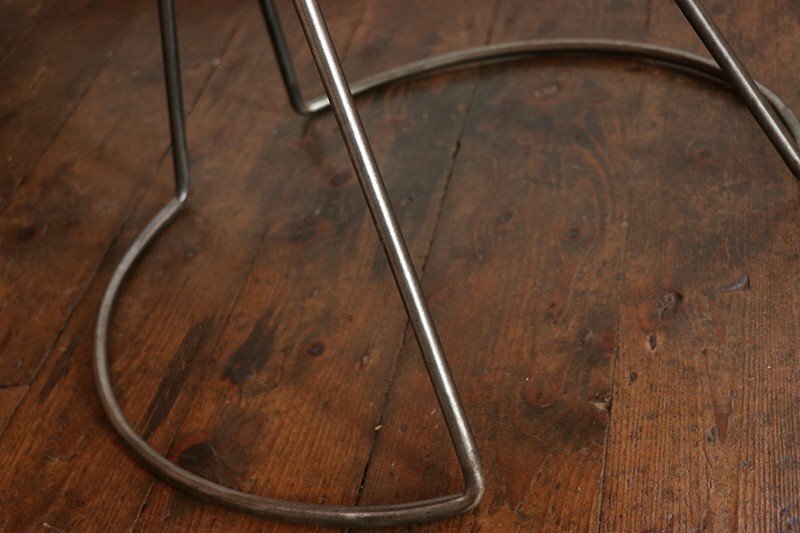 The chair frame is commissioned by a local blacksmith. 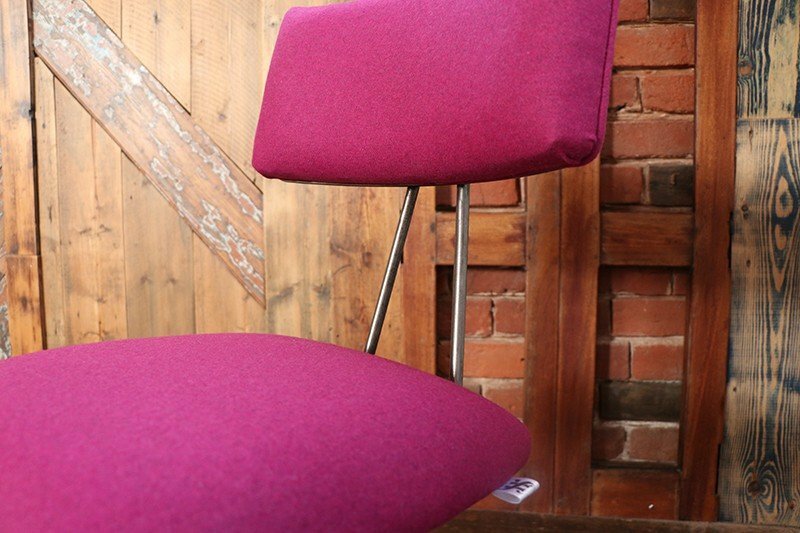 The height of the seat is perfect to fit comfortably under a standard height desk, workstation or dining table.